Do you long to know how to write songs that could be played on radio stations worldwide? Do you want to know how professional songwriters crank out hit after hit? Do you wonder what makes the top worship songs so compelling to be sung in thousands of churches? Do you feel you have a special call to write songs that could be sung the world over but don’t know where to start? 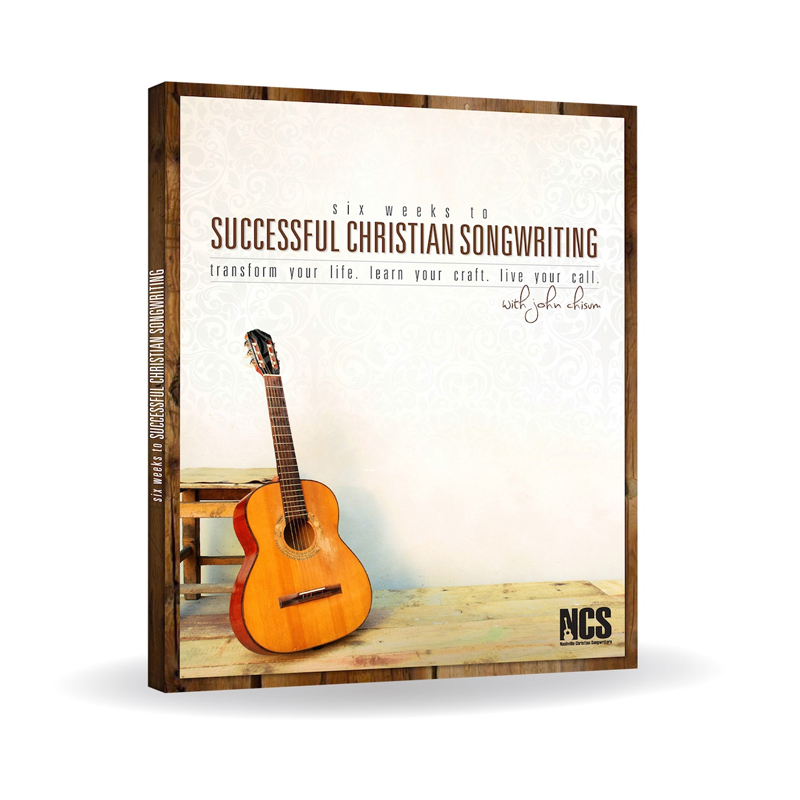 Are you ready to turn your dream of becoming a successful Christian songwriter into reality? IF YOU’VE ANSWERED YES TO ANY OF THOSE QUESTIONS… read on! Whether you’re a singer/songwriter, a worship leader, or just want to explore what real songwriting is all about, “Six Weeks to Successful Christian Songwriting” is the quickest and easiest way to get the tools you need to impact your lyrics and melodies immediately. Written and led by veteran songwriter, worship leader, and publishing executive, John Chisum, you’ll gain immediate clarity and insights on how to make your songs engaging, compelling, and more powerful than ever with easy-to-understand lessons and exercise. With over twelve hours of valuable insights and downloadable PDF files you can unlock songwriting in your life like never before. Including the powerful Songbuilder’s Blueprint® you’ll understand the way pro songwriters write and begin to build your own song catalog. SPECIAL BONUS: Along with learning the key principles that has allowed John Chisum to write and publish over 400 songs and manage some of the top Christian songwriters with Integrity Music and Star Song Communications, you’ll learn how to promote your songs to the world through digital media in the final module that you don’t want to miss! This video series is ON SALE NOW with over $300 OFF for you to access them now. Don’t wait. Get started in fulfilling YOUR songwriting destiny today.